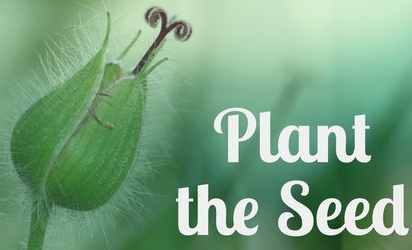 Co-led by Franciszka Voeltz and Jennifer Morales, "Plant the Seed" is a workshop designed to break writers through barriers that keep them from creating the work they are meant to write. Together we will practice moving forward in our writing—without apology. Writers of all levels and genres are welcome (including those who don't call themselves writers) to join in the work and play of cracking open our writer-hearts, busting out of our stuck practices, and harnessing the power of what emerges. After working through a series of generative exercises designed to help you create fresh work and break you out of habitual patterns, we will close the session by naming new commitments to our writing—planting the seed for future work. The workshop session will be followed by a reading featuring our facilitators, Franciszka Voletz & Jennifer Morales, as well as an open mic. The reading and open mic are free and open to the public—if your inspired to read brand new writing from the workshop or something finished you brought along, we'd love to hear you! Sharing your work and reading at the open mic is always optional. Facilitation will be in English, but you should feel free to write in any language. This event is supported in part by Poets & Writers. From the crossroads of writing and social practice, Franciszka Voeltz writes poems-to-go on a portable typewriter for magnificent strangers in public places, curates a collective poem to the entire planet, and has two decades’ experience facilitating community writing workshops and readings in living rooms, at universities, and everywhere in between. Writing together is her favorite way to be with people. Voeltz’s chapbook POETXTS is available from Imaginary Friend Press, and her work has appeared in journals including Dark Mountain, Analecta Literary Journal,and Adrienne. Voeltz is the recipient of various poetry fellowships including those granted by the Helene Wurlitzer Foundation, Santa Fe Art Institute, and Art Farm. She earned an MFA in Writing from the University of California, San Diego.